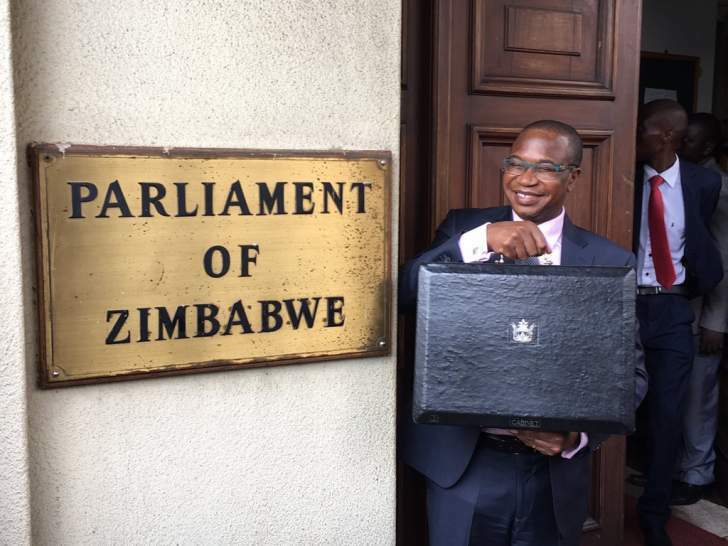 Finance and Economic Development Minister Professor Mthuli Ncube will be presenting the 2019 National Budget this afternoon at Parliament Building in Harare. We bring you live updates from parliament. 1729: "In conclusion, this budget will lead us to prosperity…"" said the Finance Minister. Quoting Immanuel Kant, he said: "We are not rich by what we possess, but by what we can do without." 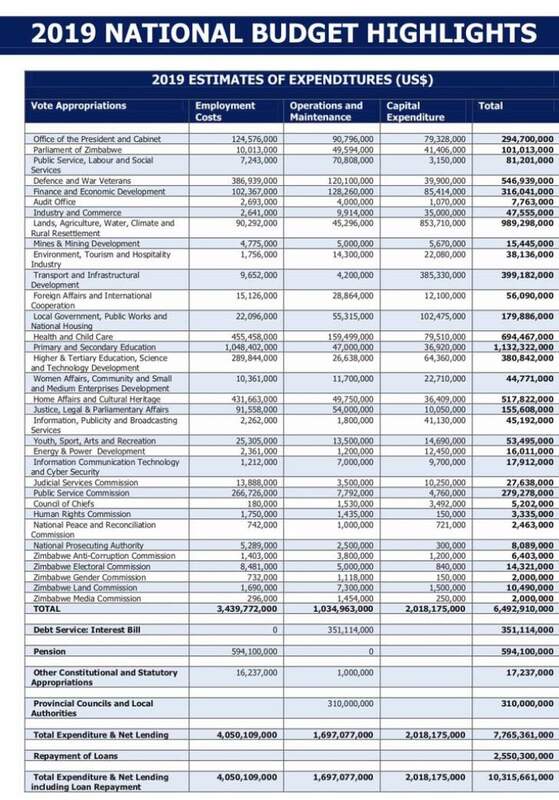 Industry and Commerce allocated $46 million. 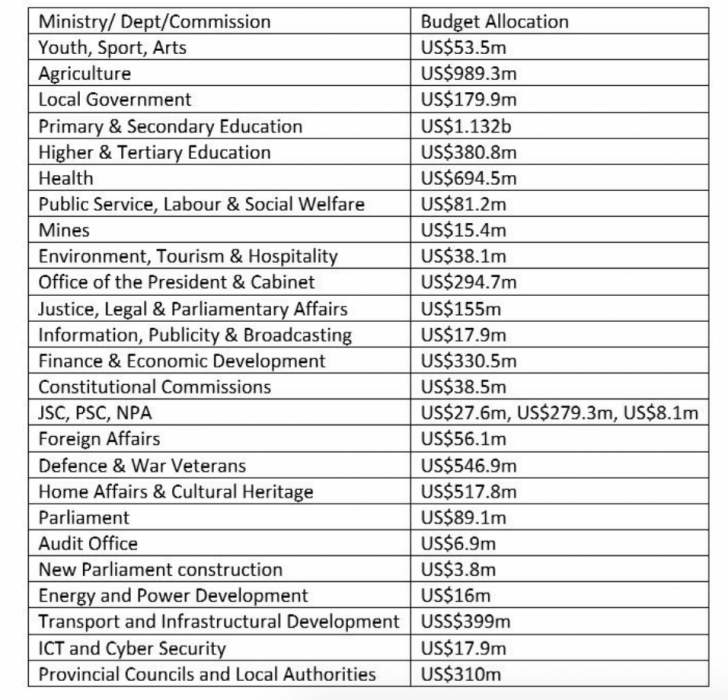 1520: Primary objective of the 2019 budget is to stabilise the economy. 1512: The Speaker of Parliament says President Mnangagwa is the President of Zimbabwe and no one should be allowed to undermine that, including honourable members, adding that appropriate action will be taken. 1457: Commotion in the house…..ZRP has been called in to assist to eject the MDC members of parliament. The MPs are refusing to leave the house. 1448: After some heckling in the house, Speaker of the National Assembly orders MPs to his left (MDC MPs) to leave the house for refusing to stand-up in acknowledgement as President Mnangagwa walked into the house. 1440: Speaker suspends business of the day to pave way for budget presentation at 1445 hours. 1435: A female legislator Honourable Lynette Karenyi complaints of sexual harassment of female members of parliament by their male counterparts.